Garry Disher’s latest book in his best-selling and critically-acclaimed Wyatt series, The Heat, is out now from the excellent people at Text. This is the eighth outing for the hard-boiled, hard-bitten and frequently hard-up criminal—the last one, Wyatt, won the Ned Kelly award for Best Novel in 2010. 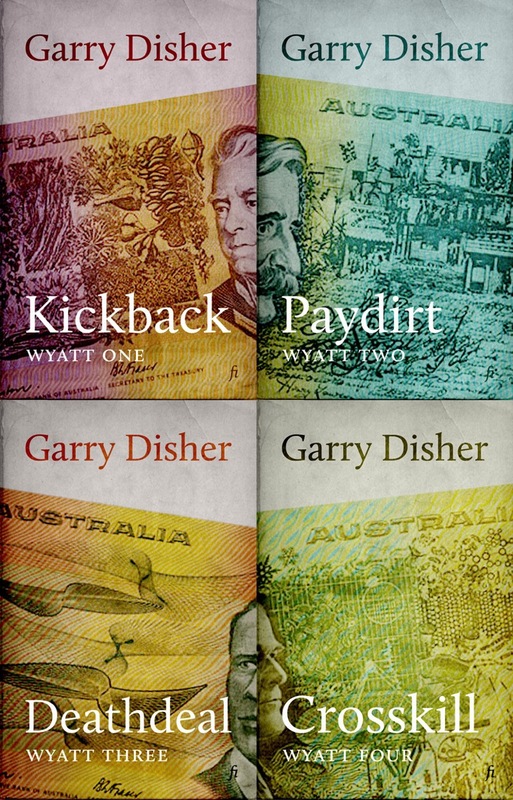 And the first four Wyatt novels—Kickback, Paydirt, Deathdeal and Crosskill—are now available in new electronic editions from Ligature. The series hits the ground running, and the first four books see Wyatt entangled in hits and heists from a noirish Melbourne to a rural South Australian outpost and on to a seedy Brisbane and Gold Coast as the jobs get bigger and more dangerous and Wyatt’s enemies grow more powerful and numerous. Each of the books builds on the last while standing on its own as a perfectly constructed crime thriller. If you’ve read the recent Wyatts, or you’re about to—and you really should—then go back to where it all began with these classics of Australian crime writing.